As an excellent alternative to crowns in a number of situations, Veneers are a proven and simple step patients may consider taking to brighten and enhance discolored, misshapen, or damaged teeth. Made of super thin shells of ceramic or composite resin, veneers are tailored to an individual patient’s needs and then bonded to the front of the teeth. As they require little or no anesthesia, Veneers can provide patients uncomfortable with the thought of periodontal surgery an excellent alternative to brighten their smiles and enhance their appearance. Whether a patient has gaps between their front teeth, teeth that are worn or chipped, or teeth that are discolored by fillings or root canal procedures, Veneers are an excellent procedure to consider. 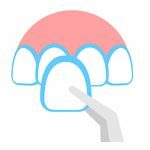 Typically, Veneers will last for many years and, when performed correctly by our trained staff, the technique shows remarkable longevity. Whether a patient is looking to brighten their smile or assist in heightening their self esteem, Veneers can be an excellent alternative to surgical procedures. The Dalles Dental Care dental staff are well equipped to guide patients through the decision making and full process of selecting, preparing, installing and helping patients maintain their Veneers for many years of bright and brilliant smiles. Call, e-mail, or stop by our office today for more information. "Thank you Dr. Haley for your excellent work on restoring my front tooth. I am very grateful to you for seeing me and to your very fine office staff for making me feel welcome." We accept many major insurance plans, please call us to to confirm we cover your individual plan and network. We are proud to offer many options for patient financing including CareCredit®. Don't have dental insurance? No problem! We also offer a monthly membership program that covers preventive care for our patients without insurance.